Owners of limousine companies took a substantial hit during the most recent recession. Yet, their problems weren’t over once the economy started to pick up. Just as consumers began to once again have discretionary income to spend on luxuries like chauffeur-driven rides to the airport, ride-sharing companies, like Uber and Lyft, came into the picture and quickly captured market share. It has been a bumpy road for executive transportation providers for nearly a decade. Many companies that have held onto traditional business models have failed. Yet, there are others that have been able to grow by adapting to market changes. 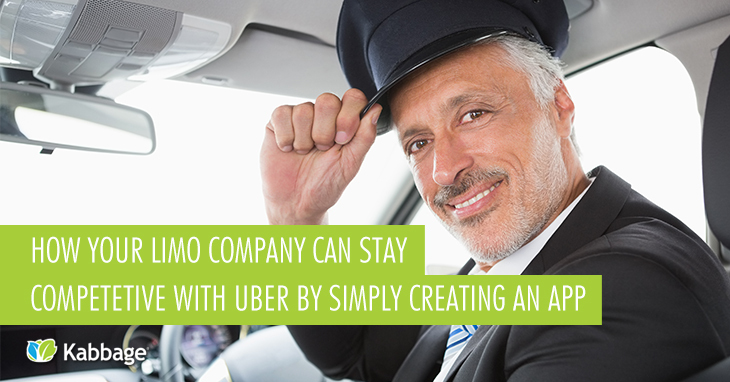 To compete with Uber and other online transportation networks, the limo companies that have been most successful have made strategic changes to their business models by adjusting pricing strategies and cancellation policies. Others have differentiated themselves by targeting niche markets or by taking clients on pub tours, shopping excursions or even offering discounted shuttle services to sustain revenue. Perhaps the most obvious way that limo companies can currently stay competitive is to create a mobile app that provides many of the same conveniences that Uber and its primary competitors offer. Passengers now expect instant quotes, geo-location and the ability to communicate on multiple channels including chat, text and voice. They also want flat rates based on zip codes and a way to book rides entirely from an app. Because Uber and other similar competitors have more vehicles on the road, they can offer quicker pick-ups than traditional executive transportation providers. Yet, limo companies still have a competitive edge when it comes to offering a consistent white-glove experience and providing a higher level of safety. With ride-sharing unlikely to go away anytime soon, limo companies are wise to invest in mobile apps. There are a variety of options, from app development firms that specialize in the transportation industry to do-it-yourself options that can help even single car operators create functional apps. If you’re the owner of a limo company or responsible for the marketing of one, the following options offer viable solutions that can help you increase your company’s ability to compete in this rapidly-evolving, increasingly-competitive market. As the leading software solution provider in ground transportation, Limo Anywhere offers a variety of mobile solutions, including both passenger and driver apps. They also have a comprehensive affiliate network, dispatch and booking software, payment solutions and limo website templates. The Limo App is a specialized app solution for the industry that combines standard features like instant quotes, travel history and time/calendar pickers along with useful options like an app just for drivers to enable them to text clients from their vehicles. You can provide details about your fleet and even collect driver feedback to obtain valuable market research to improve your overall customer experience. The Limo App offers different app level monthly subscriptions, from starter to pro to meet the needs of both small and large companies. A new option for limo companies is to partner with a provider like Ride Genie, which pairs passengers with available vehicles in a way that’s somewhat similar to Uber. Passengers download the Ride Genie app and register their credit card. When they need a vehicle, they can choose the type of car they want, and the app finds the closest available vehicle on the map and dispatches it. Ride Genie is going head-to-head with Uber and others in many ways, but only works with professional, licensed, and commercially-insured drivers who drive for a living, not a hobby. The service is available in the Las Vegas metro area and will soon be launched in Los Angeles, New York City and Scottsdale. For those providers that want the assistance of a full-service agency, LimoLabs is an option. The provider develops apps for both iPhone and Android with all of the necessary bells and whistles like live rates, reservations, account setup, location picker and saved routes. They also provide traditional agency services, including search engine optimization, mobile ads, paid search advertising and social media management. For those who want to tackle app development on their own, App Press is a good option. The solution uses a drag and drop approach to enable users to create apps that aren’t bound by rigid templates. They even have a team to help you build APIs to create custom mobile solutions like unique login forms and personalized notifications. For a no-frills option, iBuildApp is a good choice. It offers customizable templates for iPhone, iPad and Android that can be created in a matter of minutes. Apps are free by accepting iBuildApp branding. White label versions are also available. Focused on the growing customer demand for on-demand and mobile user experiences, Dashride offers a ridesharing platform for independent limousine and executive transportation providers. The company’s open platform offers automated dispatching, website integration, billing and invoicing, analytics and customization. Drivers can find available jobs, view accepted jobs, get directions to pickups and drop-offs, chat with customers and even charge customers. The new reality for limo companies is that passengers want to be able to make reservations, check on the status of rides and pay for their service using mobile devices. While it’s still necessary to have a voice channel available for passengers to use when they want interaction with a live representative, they are increasingly comfortable with managing their transportation needs using only a mobile app. By giving them a convenient, user-friendly app, it is possible to stay competitive in the changing transportation industry. Do you own a limousine company and have a mobile app to compete with Uber, Lyft and other ride-sharing providers? Tell us about it! Share your story in the comment section below.